Avoid updating your facility with a urinal that may have a gpf that is soon to be obsolete. Find out why another state’s new water appliance regulations for 2016 may affect you and your new urinal installation, even if you are in a different state. Starting January 1st, 2016, California’s tighter water usage laws have come into effect. In April of 2015, California created new water efficiency standards, limiting water usage in new water fixtures. Now, all new toilets, urinals, and faucets are under new regulations that limit water flow. There are other initiatives as well, like a rebate program that encourages the replacement of old household appliances too. According to the California Energy Commission, these restrictions are expected to save over 10 billion gallons of water within the first year. These tighter water usage laws are due in part to the growing acknowledgment that water and energy waste is an issue, and also in part to the new technology and water fixtures that are now available. Under these new water usage laws, urinals, a major offender of unnecessary water waste, will fall from allowing a half-gallon flush, to only an eighth (0.125) of a gallon per flush. The state of California is at the forefront of change. We foresee these tighter water useage laws having a ripple effect of modernization across the United States, and welcome the green updates. If your company is updating or installing bathroom fixtures now or in the near future, you may want to consider these new regulations set forth by the California Energy Commission. We encourage you to install units that encourage longevity while saving energy and water. Adhere to the new California Regulations for maximum long-term savings. By building or updating with Sloan Valve’s high-efficiency fixtures, your company will be prepared for the changes sure to come in the near future. Currently in Pennsylvania, a high-efficiency flushing urinal uses 0.5 gallons of water per flush. So only if your urinal uses 0.5 GPF or less, can your business display that your restroom urinals are high-efficiency appliances. Only then can you display EPA WaterSense labels, which informs consumers that you care about the environment and wasting water. So when will water usage laws change in Pennsylvania? Who knows. Will it change and likely mirror California’s restrictions? Yes. 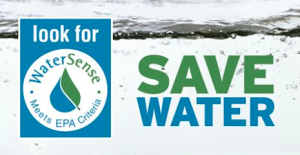 Will EPA WaterSense stipulations eventually rise to reflect the new water saving models now available? Yes. Equiparts can help you make an informed decision when it comes to installing new urinals. 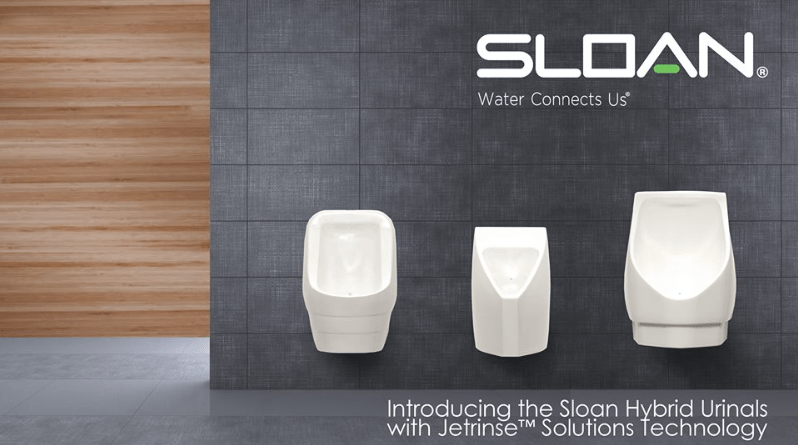 Take a look at the many Sloan Valve Urinals we currently have in stock on our website. We have been in business for over 40 years and work with countless nationwide clients, both large and small. We create lasting relationships with our customers and genuinely care about taking care of your part and repair needs. Give us a call at 800-442-6622, or submit a quote request on our website at equiparts.net for all of your urinal unit, or repair part needs, and much more.